WOLVEY SCHOOL PTA NEEDS YOU ! At Wolvey School we have been very fortunate to have a vibrant and active Parent and Teachers Association (PTS). Our PTA organises social events for children and parents, raising vital funds to help the school buy things it otherwise wouldn't be able to afford. In recent years this has included buying staging, outdoor play and IT equipment, as well as making contributions towards school trips. Unfortunately numbers are depleting as regular helpers' children have now left the school. We are in urgent need of some new blood to help us carry on the good work! We need volunteers to assist with organising events, as well as people who can spare a few hours to pitch in as helpers at events. If you're new to Wolvey it's a great way to get involved in the school community, and to meet other parents. You can speak to your child's teacher or Mrs Wiggins in the school office who will be able to give you the number for one of our Parent Committee members. 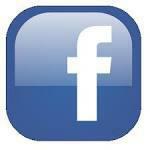 We also have a Facebook page - Wolvey School PTA - so why not drop us a message.